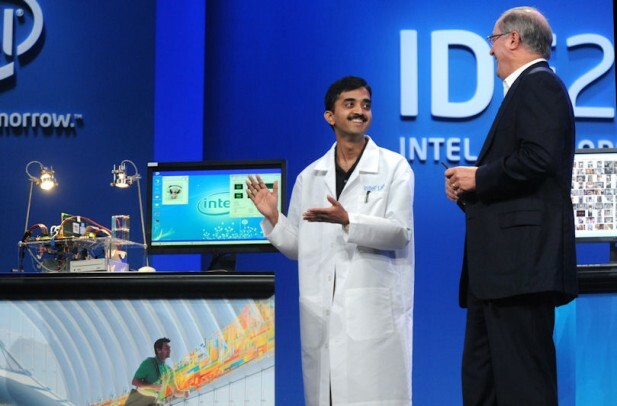 Intel (NASDAQ:INTC) throws its weight behind Android and barely mentions Windows 8. Before the first keynote here in San Francisco the halls were buzzing with rumors of a joint Intel and Microsoft party celebrating Windows 8. 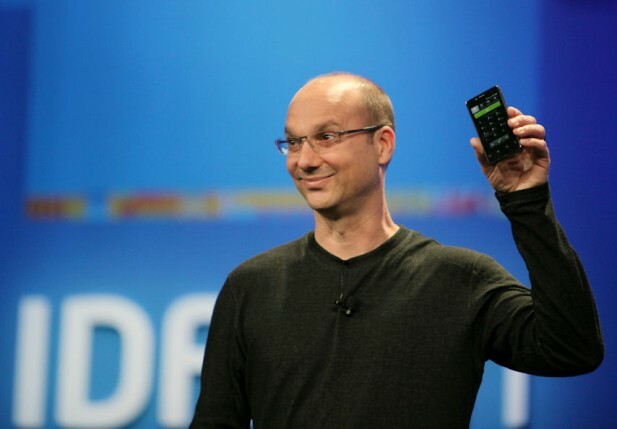 Instead Intel chose to feature Android and had Google’s Senior Vice President of Mobile Andy Rubin on stage to show off Intel’s latest reference design – a smartphone based on Medfield and running android. Google’s Senior Vice President of Mobile Andy Rubin shows off Intel’s latest reference design based on the Medfield SoC. Photo: Intel. At the same time Microsoft was celebrating Windows 8 in Los Angeles and NVIDIA was also busy briefing journalists on Windows 8 running on its ATM based Tegra processor. The Intel announcement may actually seem more important than it appears on the surface. By optimizing Android for the Atom processor manufacturers of smartphones now have a choice between ARM and Intel. This is very important news as it will allow new phones running Android to be based on a variety of hardware platforms instead of only ARM. It also gives an added competition to Windows 8 that will probably still dominate in the traditional laptop and desktop space. The optimization is also good news for companies like Samsung that are using ARM, but face increasing competition from Apple, which is also their own customer when it comes to processors. The second reason Samsung should be happy about this is that they’re great at doing hardware, but completely lacks software people. By using the Atom-processor they can get Google and Intel to do most of the dirty low level work for them. The embracing of Google by Intel also begs the question: what happened to Meego? Well, probably a stupid question. Meego was never mentioned and we are just waiting for it to slowly fade away. Intel probably won’t officially announce its death yet. Meego was a stupid idea to begin with and could not really do anything that any other Linux distro couldn’t do. To top things off, Intel’s CEO Paul Otellini also showed off an experimental processor that runs off a solar cell the size of a postage stamp. This just to indicate that Intel knows full well that power consumption is very important. Otellini also underscored that it was a technology demonstration only and that we should not expect to see Intel starting building solar powered systems. Paul Otellini shows Intel’s experimental processor running off a single solar cell the size of a postage stamp. Photo: Intel.